The Health and Retirement Study (HRS) surveys more than 22,000 Americans over the age of 50 every 2 years to paint an emerging portrait of an aging America. The HRS Data Monitoring Committee (DMC) provides guidance to the National Institute on Aging (NIA) staff to ensure the quality and integrity of the survey and to provide advice on potential survey expansions, supplements, costs, and priorities. 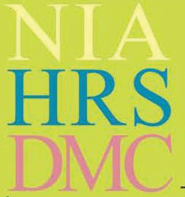 RLA has provided executive secretariat services in support of the NIA HRS DMC since 2003, initially as a contractor to the National Institute on Aging and since 2008 as a subcontractor to the University of Michigan. RLA organizes up to two meetings each year at locations throughout the country, facilitates mid-term reviews of the HRS, and prepares meeting summaries. DMC membership has grown to 15 experts representing a diversity of disciplines, with many members serving continuously for an extended period. RLA’s sustained stewardship of the DMC has contributed to the stability and productivity of the group. RLA’s retention of institutional knowledge, including action items, has helped the NIA continue to move the science forward.